Sloth lovers of the world – and we know there are lots of you out there – prepare yourselves. If you’ve ever wondered what it might be like to spend some quality time with the adorably slow creatures, you’re in luck. The Oregon-based Zoological Wildlife Conservation Center is offering a chance to spend an overnight slumber party with their adorable family of sloths. It’s basically the perfect scenario: They’re sleepy, you’re sleepy. You love sloths, and they love humans feeding them fruit directly into their little slothy mouths. This is NOT a place to bring your kids for a day. The website makes it clear this is for adult animal-lovers only. Reviews on the Facebook page seem pretty positive about the experience. Past guests called it the “most amazing experience.” They said that interacting in such an intimate way with these creatures was truly special. 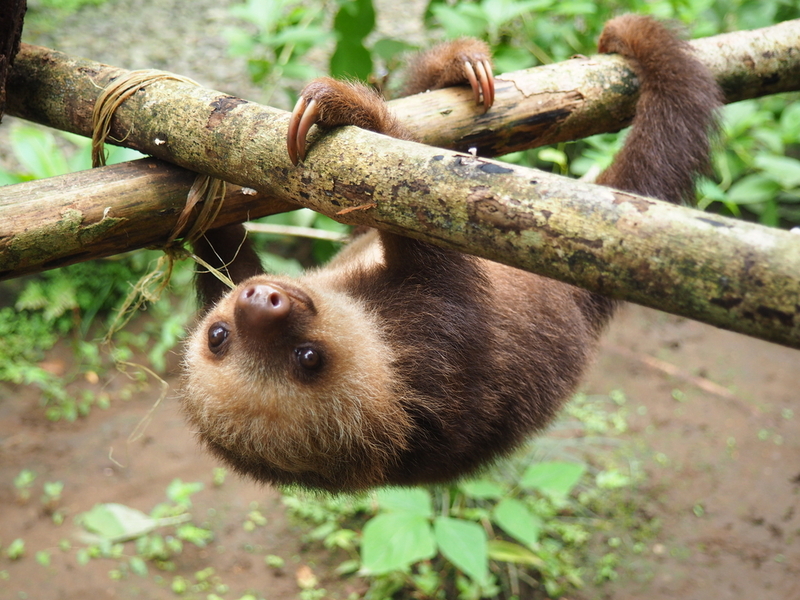 Plus, they were impressed by the amount of energy and attention that is dedicated to sloth conservation and care. Of course, not everyone had the most magical time. Some people did complain that they went home smelling of urine. But, hey, you can’t have everything in life. At least for now, you can have one glorious night sleeping under the stars with a sloth. Or two. Or six! And you’d better hurry to sign up soon. The Center warns that they expect human contact with wildlife species to be banned nationwide by federal law sometime soon.